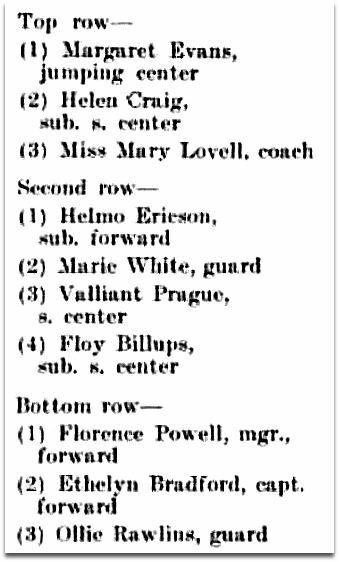 The girls’ basketball (or “basket ball”) team of Dallas High School (later known as Crozier Tech) had a great season in 1915! 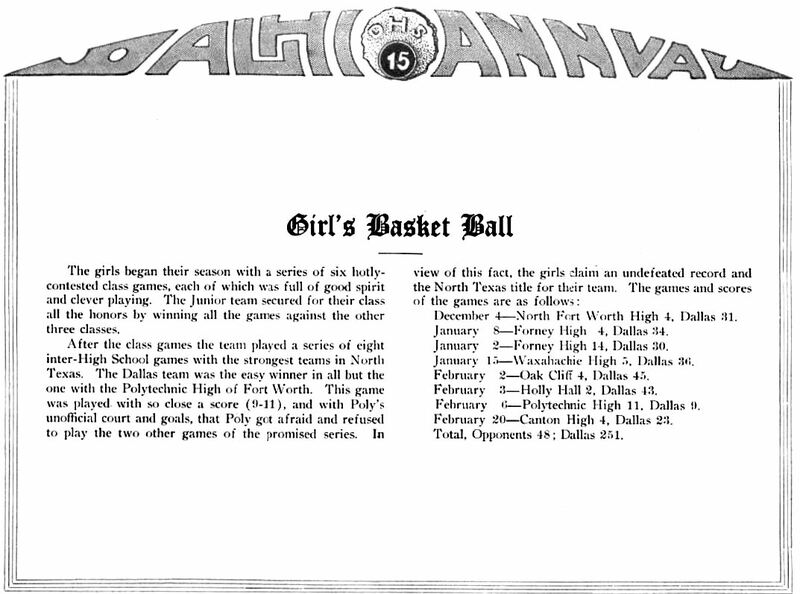 They won 7 of their 8 games, losing only to Fort Worth’s Polytechnic High (by one measly basket). Most of their opponents were trampled by the DHS team, several managing to score no more than a mere 2 or 4 points (!). And, let’s face it, without the drag caused by those elaborate and cumbersome uniforms and … um … headgear, DHS would no doubt have scored even higher. 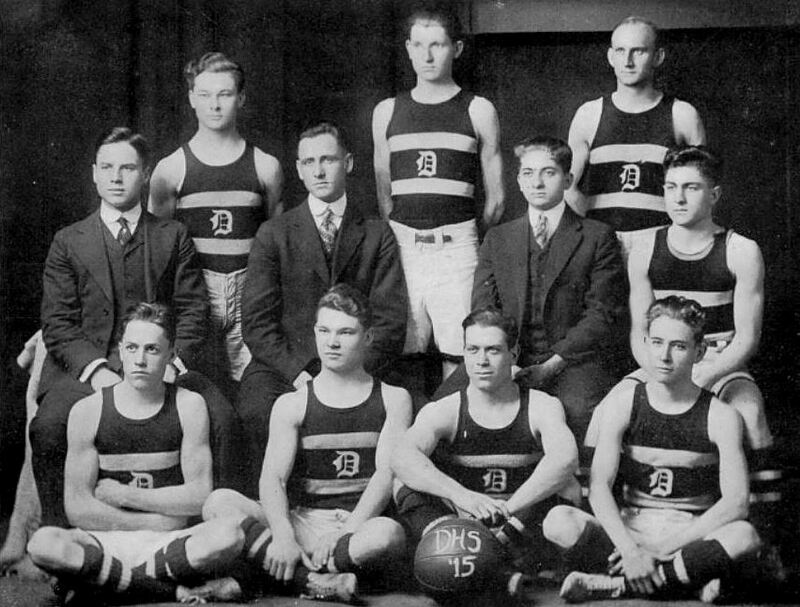 And the boys’ team? Oh dear. They won only 4 out of 8 games. 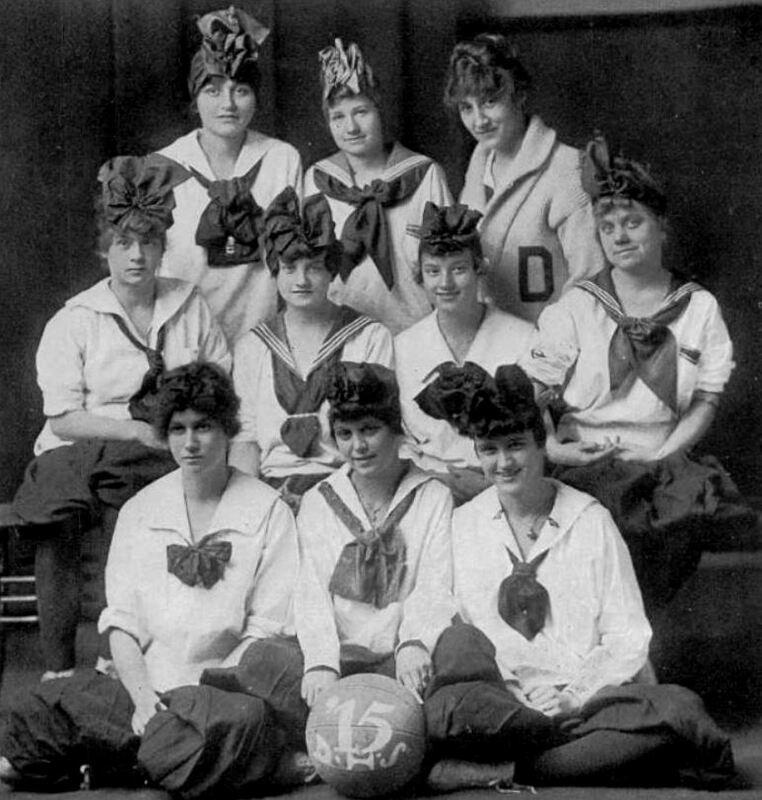 But at least their uniforms were better suited to the sport. 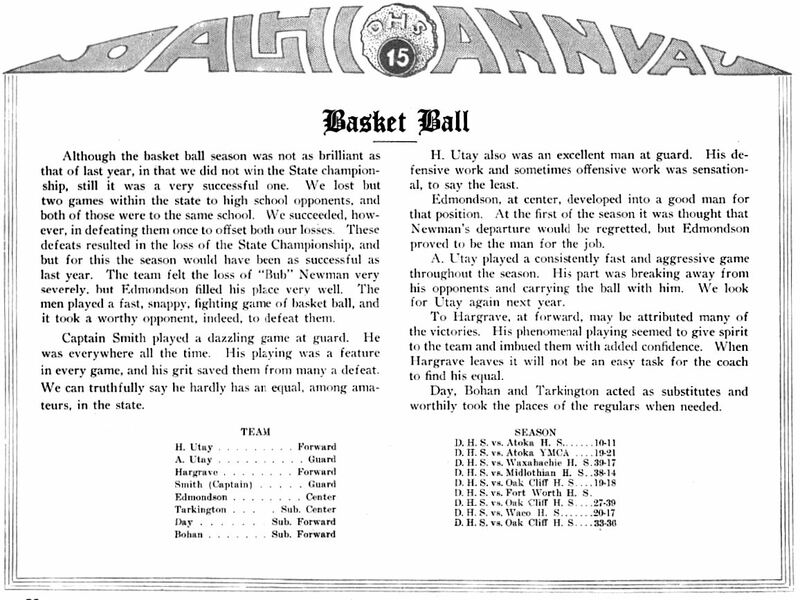 From the pages of the 1915 Dallas High School yearbook — the “Dal-Hi” annual. Of note: the two “in state losses” were to Oak Cliff High, later Adamson. The “DALHIANNUAL” font would not look out of place on a 1960’summer psychedelic music poster. Very mod for 1915.